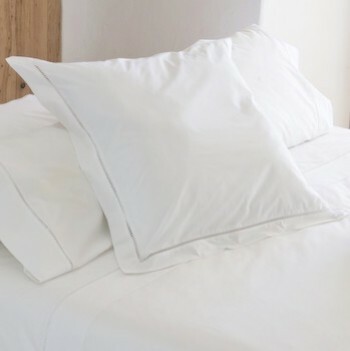 Waking in DEIA Living sheets means waking every day embraced by soft fine linen like it were the first day of vacation. 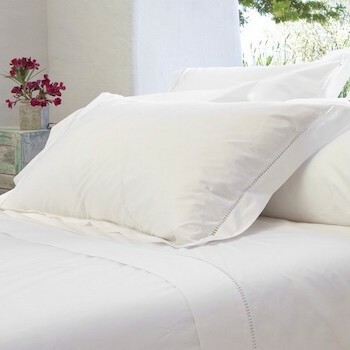 A more economical way to shop our double bed sheet set comes with a fitted, flat and standard pillow case set in white 300 thread count Egyptian cotton percale with ladder stitch detailing. 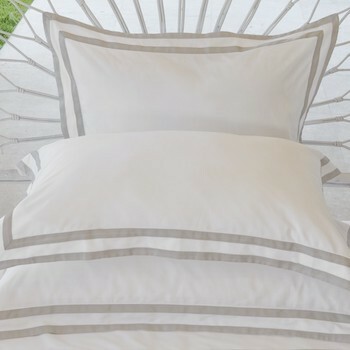 The Saria double sized sheet set makes the perfect gift, coming beautifully presented in our DEIA Living gift boxes as we want to ensure you enjoy your purchase from the moment it arrives at your door. You can also complete with look by adding the matching quilt cover to capture the collection’s Mediterranean style and easy living feel.